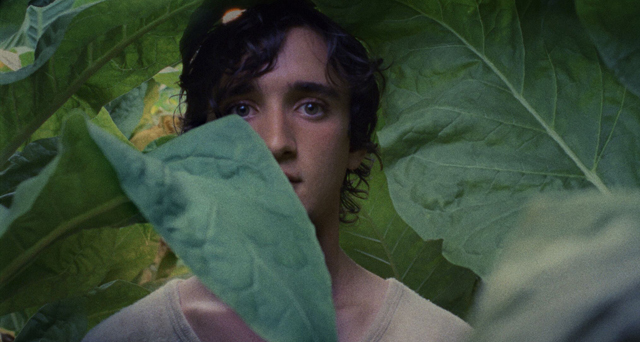 Lazzaro is a touchingly naive young man living in a tiny village in Italy, whose inhabitants are still kept in thrall to a long-outlawed feudal system. After the landowner’s son befriends him, things go awry and the film changes gear into something wonderfully unexpected. This magic-realist gem of a film deservedly won the Best Screenplay award at Cannes 2018. Ravishingly shot and incorporating some truly stunning imagery, it evokes both a nostalgia for rural innocence and the melancholy of urban decay. Each ticket holder will be entered into a raffle to win a wonderful Alice Rohrwacher Girls on Tops t-shirt. *Our hosted discussions are like a book club but for films, with a volunteer leading a discussion with anyone who wants to stay for a chat after the film.